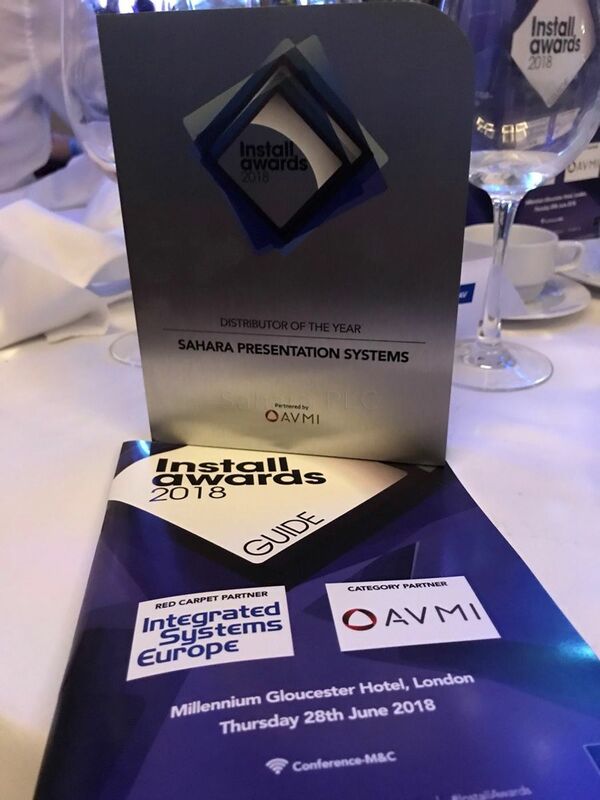 In front of a packed audience and against a very healthy shortlist, team Sahara win Distributor of the Year for the second year running at this year's Install Awards. For the last 5 years the Install Awards have been recognising and rewarding the very best that the pro-AV industry has to offer. The awards focus on the best that AV has to offer in the preceding 12 months and of course, the people that make them happen. 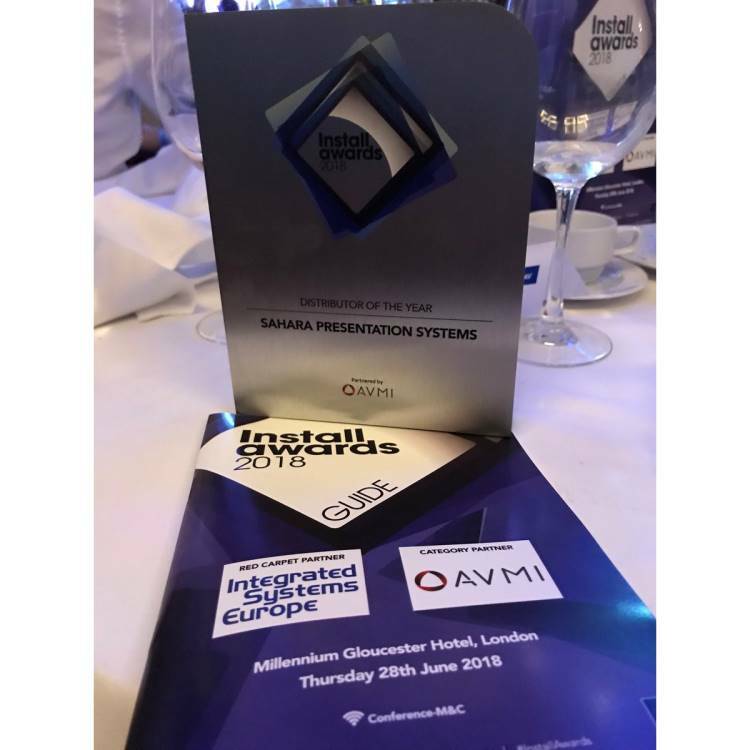 Sam Pomfret, Channel Distribution Director comments: It's been a solid twelve months for the team at Sahara AV and it's a great accolade to be recognised by our industry peers for the second year running. As a team, we work very closely together to enable us to build on new and existing relationships which are key to the success of our business. Within the last twelve months, Sahara AV has signed more vendor distribution agreements and introduced a team of vertical solution specialists to help partners plan for wider projects. Take another look at how we can help provide you the right solution on your next project.